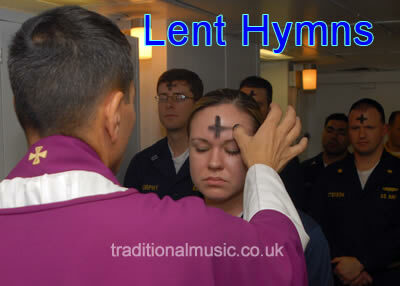 150+ Traditional Hymns for Lent, lyrics, midi music and PDF. To view the songs click on a title. The following is our Lent and Easter hymn playlist on YouTube. The transcriptions on this site are made by many different individuals from all over the world for their own research and instruction and as such should not be considered definitive "official" versions, or representative of any particular artist or performance. They are being shared here for educational purposes only, please see our copyright page for more info. Should you need a print-out of the song, PDF versions (without banners or adverts) are available from the link at the bottom of each song page. Right click and use "Save target as" to download the file. Click a Title Below to view it.